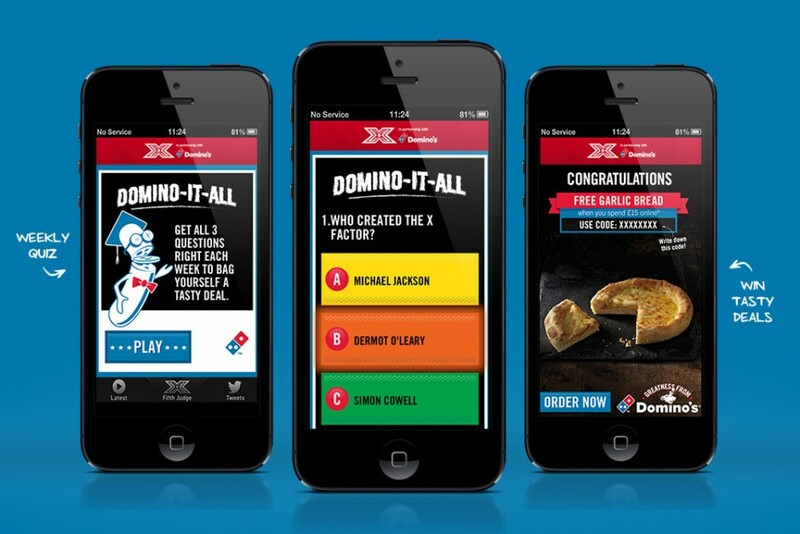 As the official partner of The X Factor app, Domino’s wanted to take advantage of an opportunity to drive sales at a time when their ‘Family Feasters’ were likely to be gathered on Saturday and Sunday evenings. 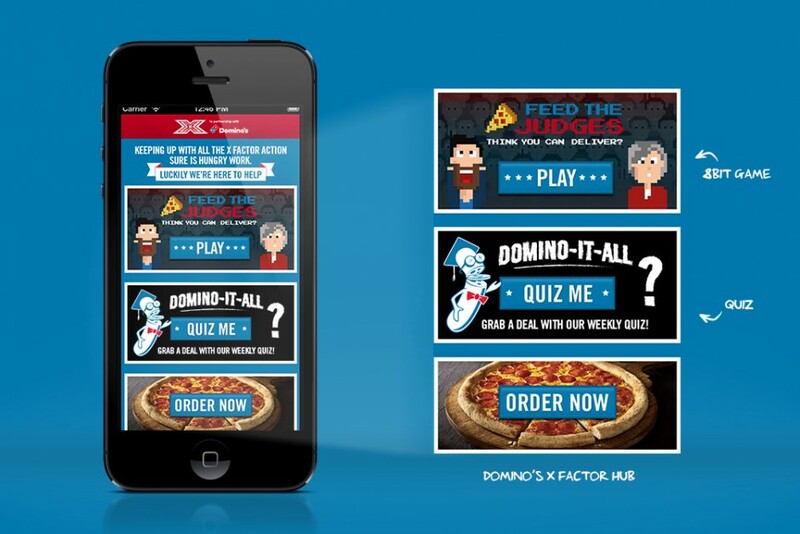 In addition, they wanted to capitalise on the second-screen experience by delivering exclusive offers via the app. 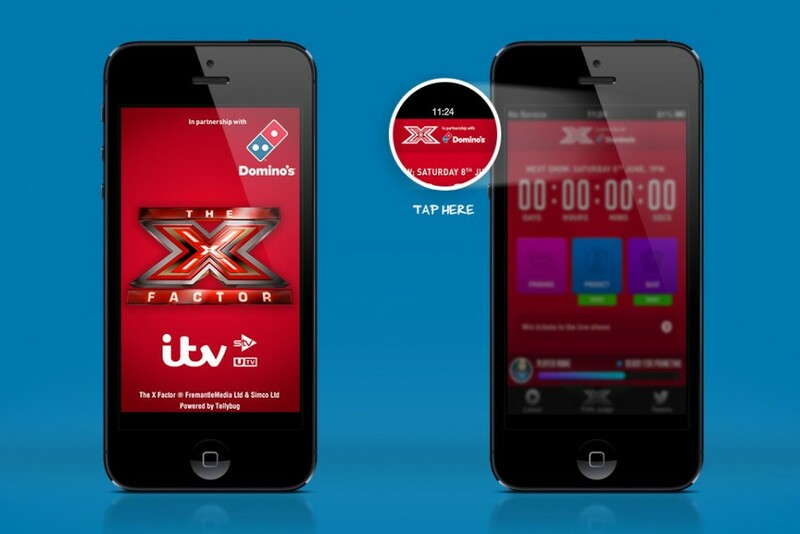 We completely reinvented the platform used by the X Factor app for delivering mobile ads that are synched with the live TV show ad breaks. 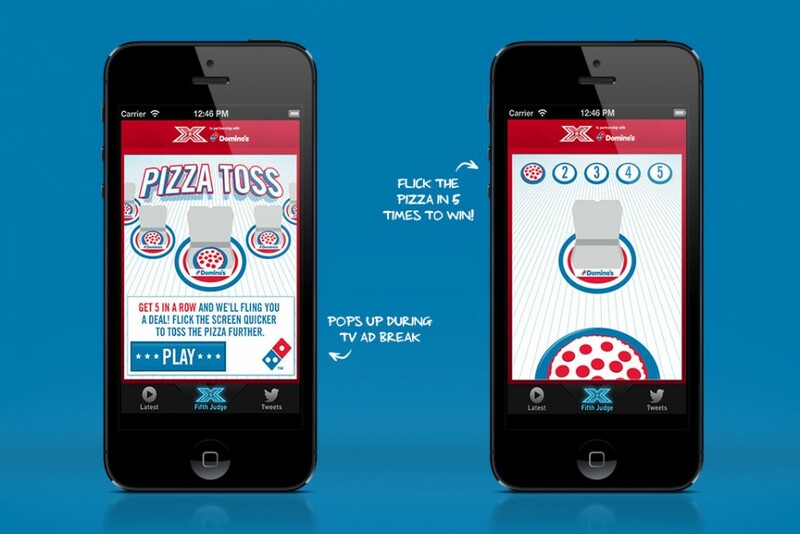 Where previously they had been static promotional images, this time we created something much more fun and engaging. 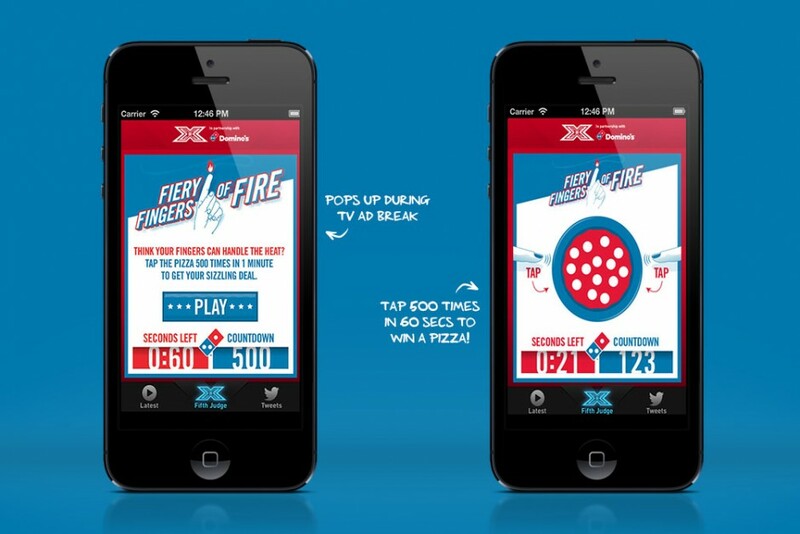 A series of interactive mini-games and quizzes rewarded players with discount codes – smashing all previous records of engagement rates, with an average of 74% over 12 weeks!